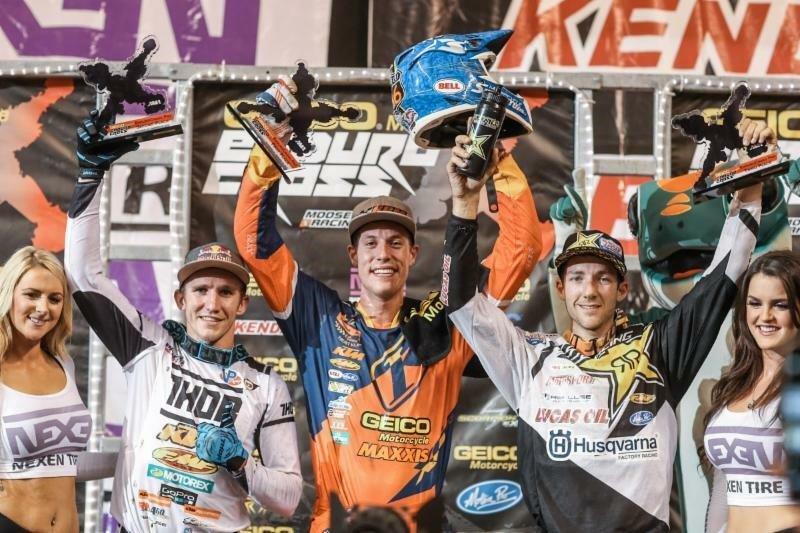 September 28, 2015) The GEICO EnduroCross returned from its summer break, taking over the Sleep Train Arena in Sacramento, and KTM/RPM Racing’s Cody Webb returned to his winning ways by beating out a talented field of racers for the overall win. This was a hometown race for Webb and his family and friends in attendance were not disappointed. It wasn’t an easy win – at least not off the start, as Webb almost crashed in the first turn and ended up at the back of the pack. Webb was third after the first lap, but he quickly worked his way to the front, passing Utah’s Nick Thompson for the lead on lap three. Webb took command from there on out, though Mike Brown was making a move later in the race before getting stuck in the Matrix section. 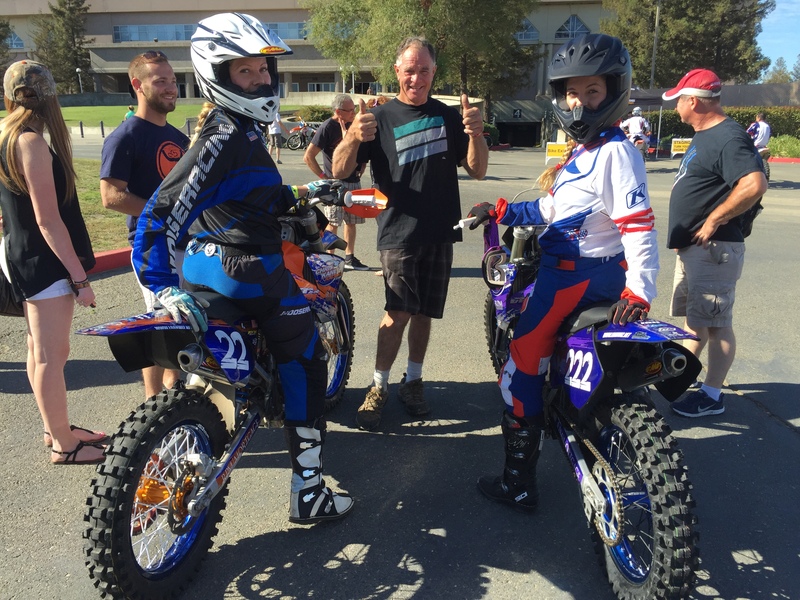 “Sacramento EnduroCross was an important race for me because of two reasons, it’s my hometown race and it’s the beginning of the second half of the season stretch,” explained the current GEICO EnduroCross champion. “I knew it was important to build some momentum and I was able to do just that. I was beyond ecstatic to get the win and the two extra championship bonus points.” Webb now holds a seven point lead over Haaker in the points heading into the Denver round, which will take place next weekend. Double Thumbs up from Big Daddy Webb!